One poll shows the Democrat a point behind in the most conservative district in the state. 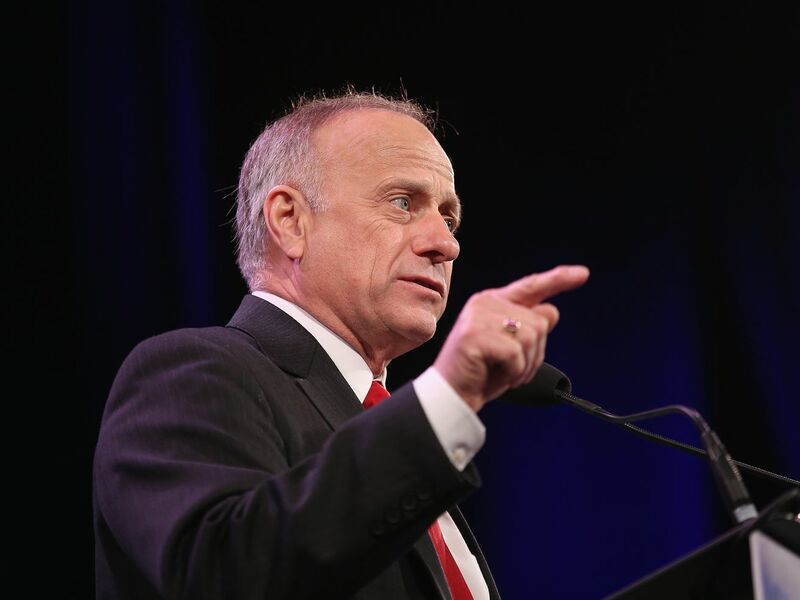 Steve King is a long-time racist. So far, he’s sailed easily to reelection. 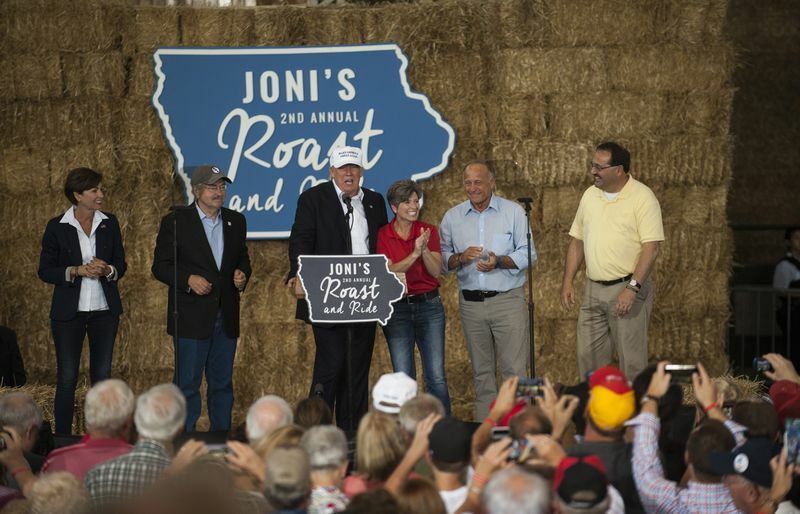 Steve King (second from right) campaigns with then-presidential nominee Donald Trump and Iowa politicians including Kim Reynolds (center right), Terry Branstad, and Joni Ernst in 2016. King’s explicit racism has a long history, but he has been given even more of a platform under President Donald Trump, who himself has repeatedly echoed far-right and neo-Nazi messages. King notably has the Confederate flag displayed prominently in his office, and has repeatedly disparaged black, Muslim, and Hispanic people. He’s often said he doesn’t believe in multiculturalism, saying it holds America back. In the House, the Iowa Republican holds a leadership position on a Judiciary Committee subcommittee on immigration, and isn’t particularly popular with even his most conservative colleagues. But until now, he’s been tolerated. “He doesn’t bring any federal dollars, he doesn’t sponsor legislation, but he brings notoriety,” Andersen said. The two biggest issues in this district are the economy — especially the impact of how Trump’s trade regime is impacting the agricultural industry — and how people feel about Trump himself. People in this part of Iowa love Trump. But also there is an understanding that if Trump’s trade wars with China continue, a lot of farms are going to have to shut down. That’s where the Democrats’ message can step in. J.D. 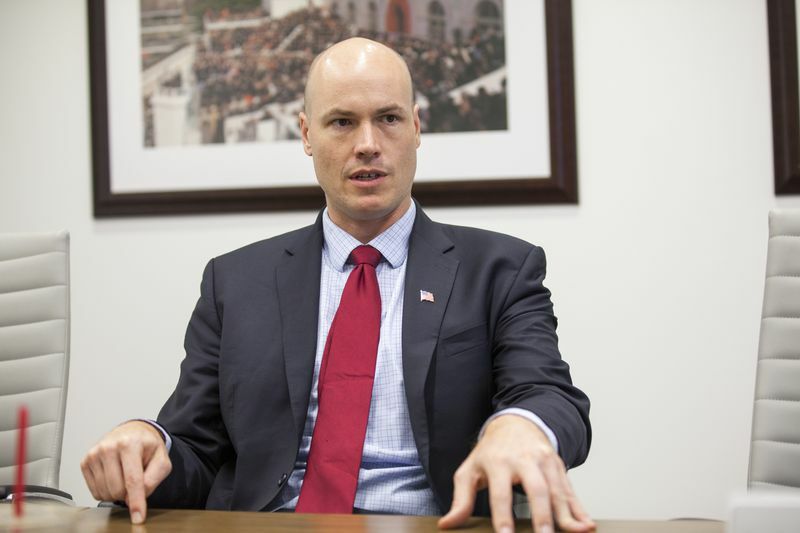 Scholten, the Democratic candidate challenging King.